Book News: Mechanica by Betsy Cornwell, the release party edition! East coast readers, get pumped! Mechanica is coming to you weeks before the release date. Yes, you can get a signed copy before any of your friends have read it, and then lord it over them with bi-hourly bookstagrams. And if you're in Boston, you get the extra joy of meeting more great authors! Details for the parties are below, and more details are on the facebook pages. Don't forget to stop back here and post your pictures so I can feel jealous see how they went! 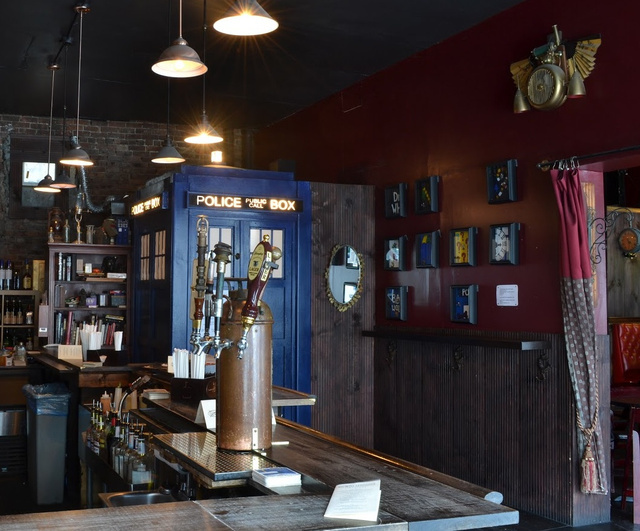 Betsy gave her first reading from Mechanica at a Way Station open mic back in 2011, and she always knew that her beloved steampunk bar would be the perfect place for a launch party if she managed to get published. Please join her as her dream comes true! Join Betsy Cornwell and the way station to celebrate the release of her new steampunk retelling of Cinderella, MECHANICA, out 8/25/15. Signed copies will be available--weeks before you can find them in bookstores--as well as a signature Mechanica cocktail. Join us for a night of Young Adult authors at Brookline Booksmith! From retellings of Robin Hood and Cinderella to a teen coping with mental illness in her family; our three authors will share their latest works for teens and grownups of all ages. Annie Cardi's THE CHANCE YOU WON'T RETURN: When your mom thinks she’s Amelia Earhart, navigating high school, first love, and family secrets is like flying solo without a map. Betsy Cornwell's MECHANICA: A steampunk retelling of Cinderella about an indomitable inventor who finds her prince, but realizes she doesn't want a fairy tale happy ending after all. A.C. Gaughen's LION HEART: A SCARLET NOVEL: Scarlet has captured the hearts of readers as well as the heart of Robin Hood, and after ceaseless obstacles and countless threats, readers will finally find out the fate of the Lady Thief.